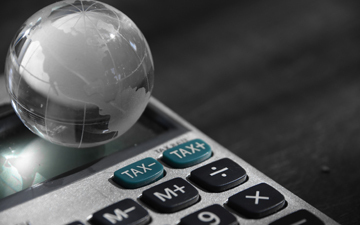 TORONTO, February 7, 2019 – Canada lags behind global growth in the tax advisory market says a new report from Source Global Research. According to “The global tax advisory market in 2018,” the global tax advisory market grew by 8.6 per cent to $20.3 billion (all figures in U.S. dollars) in 2017, and has grown $5 billion in just three years (2014–2017). 2017 marked a year of tax advisory turmoil sparked by the federal government’s tax-change proposals and subsequent retreat in Canada. But the market trails global growth by a few percentage points and will stay the same in 2019. Despite calls by the Canadian accounting profession for tax reform, Canadian accountants are not at all likely to benefit from the business of a tax overhaul in the election year of 2019, and mid-single tier growth rates look to be the norm for several years. Compare that to the U.K. tax advisory market, which expanded at a slightly higher rate than Canada’s (7%) but is estimated to jump to 13 per cent once the details of the U.K.’s exit from the EU become clear. Brexit-related work will drive strong levels of growth, faster than any other European country next year. In the U.S., the largest tax advisory market in the world saw strong growth, thanks to the Tax Cuts and Jobs Act signed into law by President Trump in December 2017. The tax plan led to a windfall for accounting firms as corporate America and high net worth individuals sought to make the most of tax cuts. The report found that the main global tax advisory services are business tax management (US$9.27bn), transfer pricing (US$5.18bn), and international tax (US$1.58bn). The financial services sector is the largest sector for global tax work ($6.64bn), making up almost a third of the world’s tax advisory market in 2017. Tax advisory insiders pointed to three key drivers of global tax advisory growth: 1, the increasingly complex global tax landscape; 2, convergence between tax and risk issues, including reputational risk driven by media; and 3, the growing appetite for automation. Tax insiders dissect those key drivers as well as their implications for tax firms in the report. The report also contains a section on the concept of “managed services,” with definitions and anecdotes provided by Source Global Research as well as the Big Four accounting firms. All appear to agree that managed services is a growth story for the sector, as companies look to outsource their tax functions to the Big Four firms, which provides a level of automation to the processes, especially as machine learning and artificial intelligence grow in capacity. The Big Four, according to the report, control the largest share of the global tax advisory market (87%), with EY leading the pack with 35 per cent of global revenues, leading PwC, Deloitte, and KPMG respectively. Visit Source Global Research to download “The global tax advisory market in 2018,” and read more on its market data and global forecasts. By Canadian Accountant staff.